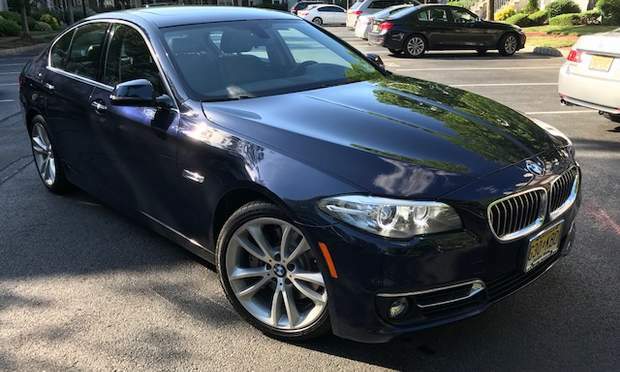 This is my second time renting this vehicle and I had a wonderful experience from beginning to end. I highly recommend this vehicle for anyone that is ever in the area. Ender is an excellent communicator and is always responsive. The vehicle is always clean and ready to go. Jhonny and his car are terrific! Chuma’s Challenger is the perfect car for any kind of getaway. There is just no way you’d regret renting this car. Chuma is the perfect guy that you would want to rent a car from. The pick up and return experience was very smooth and flawless. Can’t recommend enough! Always answers the phone , clean and on time !! Thank you for everything!! It was a such a great experience!!! Junior is amazing. Bought a Tesla after I drove his. I will definitely rent again from Sagar in the future! He was extremely helpful and communicative and even picked us up and dropped us off at the Clifton train station before and after our trip. Car was clean and exactly as described. Thanks! I had an amazing time on a weekend trip with Junior’s tesla. It’s a very special ride and Junior made it really easy with great communication and friendly tips on driving the all electric sports car. Very easy to work with great car ! Will rent again ! The car was in immaculate condition. I actually picked up the vehicle on Thanksgiving and Ender's customer service and hospitality was excellent! I had to extend my rental while I was in NY and Ender was very hospital and accommodating. I will definitely rent from Ender again when I'm back on the East coast. Fantastic car. Great people. We needed to extend an hour due to traffic, and it was not a problem. I would highly recommend!! Amazing car super fun, definitely will use Esquire Again in the future highly recommended! Great communication! Car was ready on time and Sam was super amazing in that - I was running late and he made sure I was all set up and comfortable even though he couldn’t be there to meet me. 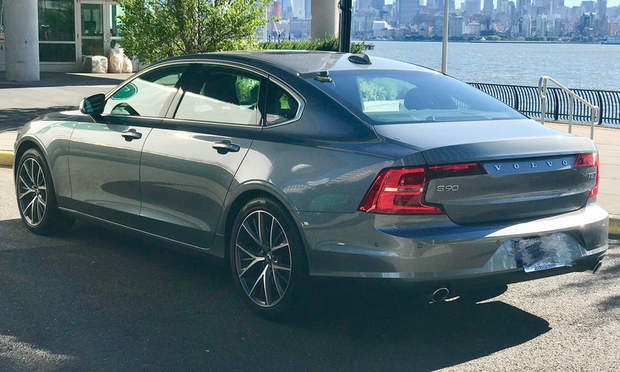 Car is very nice as many of you said, I unfortunately - the windshield has a very large crack (I believe from previous driver), which goes from side to side - this wasn’t great for safety reasons and gives police a reason to pull you as it is illegal in NY. And the only other issue I would bring to light is the car registration is actually expired. Not sure if this was an error in renewing but it did lead to a ticket I got which I hope he will take care of as this isn’t my fault !! I hate to mention this at all but just a heads up, I value honest feedback and I hope you all do as well.... Anyways - Sam is also just a great person, I can tell he has been very flexible as I have had to extend my rental many times and he continuously helps me out. I unfortunately thought I had an extra day and never showed up To drop the vehicle at the time on my app; this was totally my fault and furthermore I was sick and resting that day. Sam - didn’t freak out and get upset about the vehicle, my confusion on drop off date/time or my failure to return - instead he was worried about me wanted to check in and make sure I was ok !! I mean people really aren’t that nice these days :) anyways we resolved it super quick and I appreciate everything he has done to help me out and share his sweet ride with me !! Thanks Sam!! Filepi was amazing to work with. He was on time, the car was ready, gas was full and the car was clean in and out. He was generous to provide car charger and USB cables along with EZpass. The car was fairly new and in good condition. I'd highly recommend Filepi and would definitely rent again. He also excused us for being a bit late as we were stuck in traffic. Overall, big thanks to Filepi and rating this experience a full 5 stars !! The car was a smooth ride and very clean! Will Definitely rent again. Sagar was truly amazing, making communication very easy and flexible. 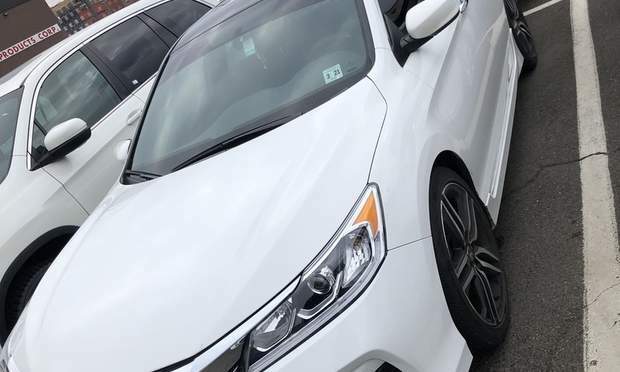 I rented the car not knowing how many days I was going to keep it for and extending the trip was very easy with him being the first time I rented a car on turo he was very helpful with everything. Thankyou and keep up your great hospitality Sagar!!! Through no fault of Wesam, unfortunately the taillights of his car were not functional and the trip had to be cut short. Wesam was courteous and helpful throughout the process. it is my first time to use Turo. Amazing car. Good experience. I will come back and rent again. Wessam was very helpful, and made the time to answered all my questions. The car was in good shape. I had a good experience with renting this car. This car is amazing just like the owner..i will definitely rent again !! Chuma was very flexible and the car was definitely as described. A joy to rent and work with. Highly recommend. Excellent host. Car was brand new and very clean. Jeremias was accommodating and communication was great. I love the ApplePlay and all the technology in this BMW. When I rent again its going to be from Jeremias. Jeremiah was outstanding and easy to work with. The vehicle was in immaculate condition and our trip was fantastic! Would definitely rent again! Sagar was very helpful and flexible. The car worked great throughout the trip and was very reliable. Chuma’s car was amazing. It was clean and smelled great. Chumas himself was extremely accommodating. He really helped me out so much. I will be renting again. Thank you! Had a great experience with Broadway Showcars! Will definitely look forward to doing business with them in the future. Company rep was amazing, great communication and very easy to contact and address all my concerns. Chuma was great to deal with and the car was awesome. Highly recommended!!! She was very nice and the car is great! I took a road trip to Ithaca and back and had no problems. It was a pleasure renting from Sagar. The car was in great condition, he even included an umbrella in the car. Would rent from him again if possible. The trip was great. The car was ready with a full tank of gas and clean at pickup time and had no problems with it. Sagar was also very understanding when it came to extending the length of the trip when needed. Would definitely recommend his service! Amazing car and excellent service. It made my trip twice as pleasurable. The car was amazing!! The unlimited mileage was a lifesaver as we had a business trip in upstate NY. The Nissan was clean, comfortable, and incredible on gas mileage (we didn't even use a full tank.) Sagar was prompt with all communication and very easy to get to from NYC. Highly recommend! I had a great overall experience renting Keny’s vehicle! Great host and lovely car. Had a good experience and will definitely return! Had an awesome trip in Hugo's mustang. Kept it very clean and ran great! Hugo is a really cool guy to work with! Would definitely recommend him! Car drives great! Even though the tire pressure light was on, the car did not give me any type of trouble! Sagar is very easy to communicate with. This car made my travel an easy one. The car was flawless and Michael was very professional. Accommodating and easy to reach. I’ll definitely work with him again. A1 service, I will definitely rent again. It was a pleasure doing business with chuma he's very punctual and car was very clean. Happy to do business with him again. Super guy!! All around !! Will rent from Robert again!! Alberto was great to deal with. Flexible with timings. Whole experience was a breeze. Chuma was perfect. Car was awesome. Eric was great. I would definitely rent again. Would absolutely rent from again! Keny was very Convenient for me, She was very communicative, flexible and understanding. Would definitely recommend renting. Sam was great and very professional.The car was great. Definitely a great experience, I’m sure I’ll rent from Sagar in the future. Sagar is an amazing host! He was helpful, efficient and even cooled the car a few minutes before I arrived because the heat was no joke! Thank you! The car was really great and super clean. Do you wanna feel something soulful? Please ride this car~ Also Chuma has a cooperative attitude. I surely recommend Chuma’s car. Sagar is very understanding and compassionate. He provided an umbrella and aux cable for my comfort. Car is well maintained and it is shown via it’s mileage. Thank you so much Sagar, for the great experience. Now i trust Turo service even more. Everything Was Perfect. It’s such a beautiful car. Sergio is a great host, very accomodating very flexible to make you comfortable how ever he can. A 5* host. Car was also good, as it took me from spot A to B without any problem. I don’t think there would be some other host like ENDER because of his great communication and flexibility with the guests. Great way to test drive a Tesla for a day if you are thinking about buying one yourself. For my first Turo Chuma was great to work with. The car is fantastic, It drives great and looks even better in person. 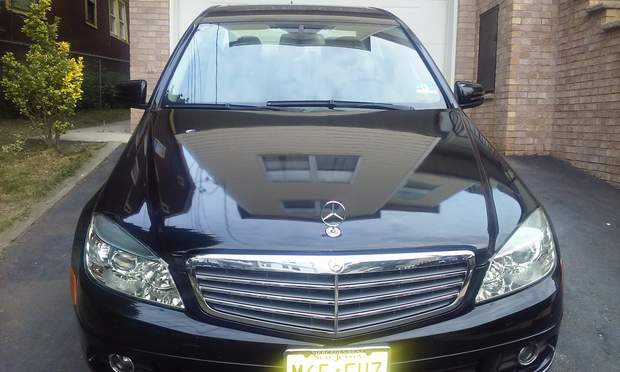 The car was immaculate and same for Gilberto’s service and communication. Nice person and nice car ! Shukran ! Thank you! Great guy, very friendly and quick to respond. Highly recommend. Everything was absolutely perfect. Highly Recommended 5 stars! Thanks again Sam, appreciate it buddy. Till next time! Michael has fantastic vehicles that are very well kept. It was a very easy pick up and drop off process as Michael was very accommodating.